Power of Attorney, What is It? People sometimes wonder if they need a power of attorney. There are different reasons why a person might need a power of attorney. It’s useful to know what some of the reasons are. Then Philadelphia estate administration attorneys can assist with information and legal assistance. One situation where you might need a power of attorney is if you are going out of the country for an extended period. During this time, you might still need to run your business, buy insurance, settle an ongoing court case or carry out other financial responsibilities. In this case, you’d want a general power of attorney. This is also for people who have difficulty managing their affairs. If you are incapacitated and need medical care, a health care power of attorney allows someone else to make health decisions for you. In some states, you can combine this with a living will and express your feelings about life support. This is called an advanced health care directive. A Philadelphia estate planning lawyer can explain which states this applies to. If a person already has a power of attorney, and learns he or she has a degenerative disease or has a serious accident, this can be changed to a durable power of attorney. This extends the previous power of attorney. This can be done in advance, and you can choose what doctor you want to certify that you are incompetent. Estate planning lawyers in Bucks County can advise you and help to set this up. A special power of attorney gives the person with power of attorney only specific responsibilities. For example, a landlord who is going to be out of the country may give power of attorney to someone to collect his rents. Selling property is another example where a person may not feel comfortable navigating the legalities, and may want someone more experienced to take over. A Bucks County trust attorney can give specific information and guidelines on the use of a special power of attorney. 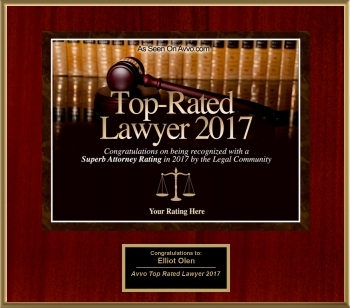 For more information on power of attorney Bucks PA, please contact Olen Law Offices, estate planning lawyers in Bucks County.